Mercedes Lackey and Rosemary Edghill are the biggest names in the urban fantasy subgenre¿where elves, banshees, trolls, and even stranger creatures walk modern city streets, their presence, and even their existence unsuspected by the human inhabitants. Now these two present a volume of all new urban fantasy, with a stellar lineup of the best new fantasy writers, such as Roberta Gellis, Dave Freer and Eric Flint, Diana Paxton, and more¿including two new stories and an afterword by Mercedes Lackey herself, as well as a story by Rosemary Edghill. This is an indispensable volume for fans of urban fantasy in general, and the thousands of fans of Mercedes Lackey in particular. Mercedes Lackey is known for several bestselling fantasy series, including the Heralds of Valdemar and Bardic Voices series, work that ranges from historical fantasy to grittily realistic urban fantasy set in the modern world. In only a decade she has made her mark as one of the brightest stars of fantasy. She lives in Oklahoma where she can be found prying the talons of birds of prey she is attempting to nurse back to health out of her hands. 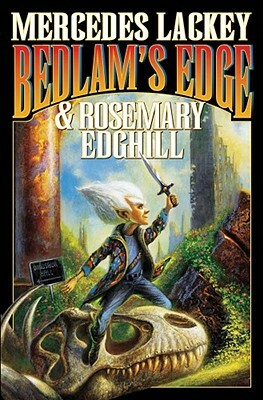 Rosemary Edghill, after holding the usual array of Weird Writer jobs, including freelance graphic designer and vampire killer, has settled down to a career as a full-time writer, publishing popular urban fantasies as well as novels in genres ranging from romance to mystery. Her latest book for Baen is The Warslayer.